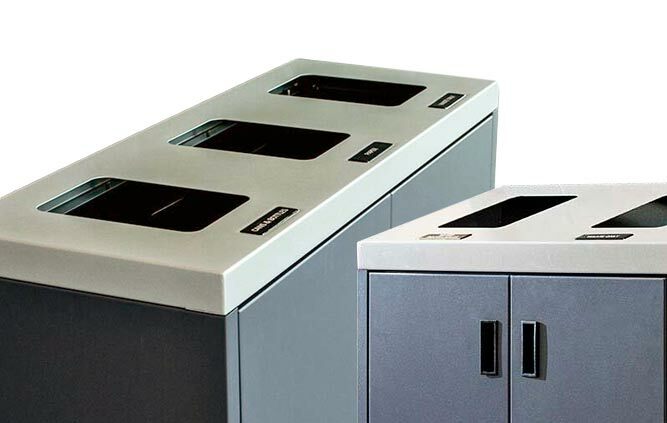 The Front Service Recycling Station has an angled top to give an aesthetically pleasing design. 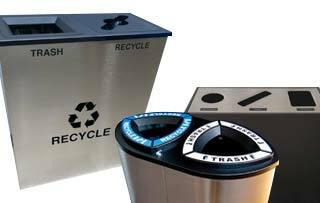 These multi-stream recycling stations for high volume collection areas with maintenance-friendly front service doors. Optional adaptor plates for the top openings allow for future changes to the program (color/opening). Each unit is available with or without a backboard.